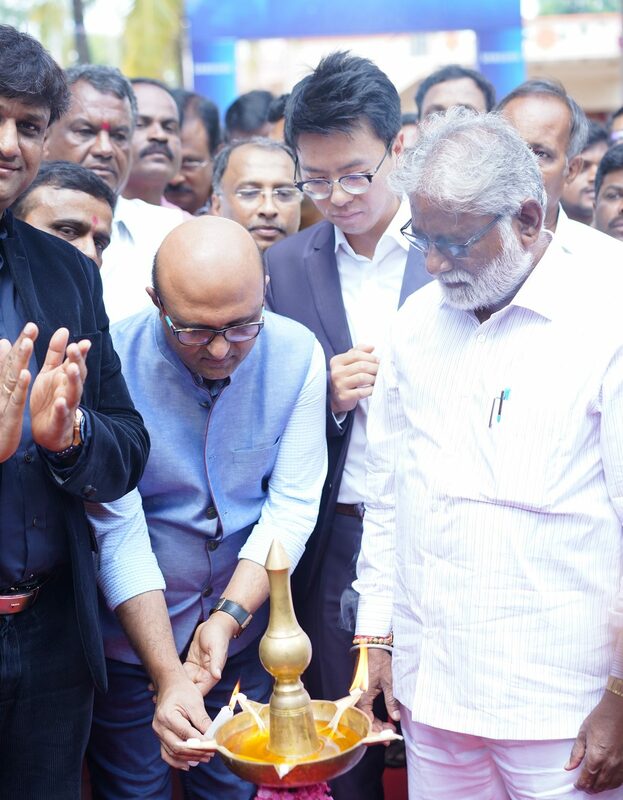 Samsung India has inaugurated a new campus with six new classrooms at the Kembodi Government Primary School in Karnataka’s Kolar district, helping the school scale up to accommodate up to 300 students, up from 156 students earlier. So far, students from three different classes were forced to sit in the same classroom for want of space. A Memorandum of Understanding was signed between Samsung R&D Institute, Bangalore (SRI-B) and the Department of Education, Government of Karnataka for the construction of the new campus at the school in February 2018. The new campus has six classrooms and a new administrative block with the necessary school furniture. This building also has a power backup, rain water harvesting facility and a RO+UV water filter for students. The school, which was established in 1931, will now offer curriculum in both Kannada and English medium from Class I to Class VIII. The new campus at the Kembodi Government Primary School in Karnataka’s Kolar district was inaugurated by Mr. N Mahesh, Honorable Minister for Primary and Secondary Education, Government of Karnataka, Mr. Manjunath, District Collector, Kolar District, Mr. Dipesh Shah, Managing Director, SRI-B and Mr. Harry Heejoon Kang, Chief Financial Officer, SRI-B along with other dignitaries. “At Samsung, education is a cause that is close to our heart and we strive to give back to the society. We are committed to helping students across the state learn and fulfill their dreams. Be it our ‘Make for India’ initiative or community centric voluntary activities, our core mission is to contribute and propel the growth and development of this region. This school is a step in the right direction,” said Mr. Dipesh Shah, Managing Director, SRI-B. Samsung R&D Institute, Bangalore had last year collaborated with the Karnataka government to donate notebooks and pens to students in 450 government schools across Bengaluru, Kolar and Mulbaghal districts in the state. A team of over 120 volunteers from the Bangalore R&D centre visited these schools and distributed 160,000 notebooks and 38,500 pens to over 30,000 students. Earlier this year, employees of Samsung Research & Development Institute – Bangalore (SRI-B) visited 1,200 government schools across Karnataka over three days to donate notebooks and pens to 70,000 students. IoT and fleet management : the best match ever!